We have had a construction/conference team with us for the past week! They’re from Grace Community Church in California, our sending church, and include some dear friends. We have been able to host 2 of the team in our home this week, and now have more dear friends! I’ll post more on the conference and construction work soon. This team has truly been a blessing! I do love the young, eager teams who come to help on the field, but this humble team of 7 has blessed us with a combined total of HUNDREDS of years of ministry and construction experience. 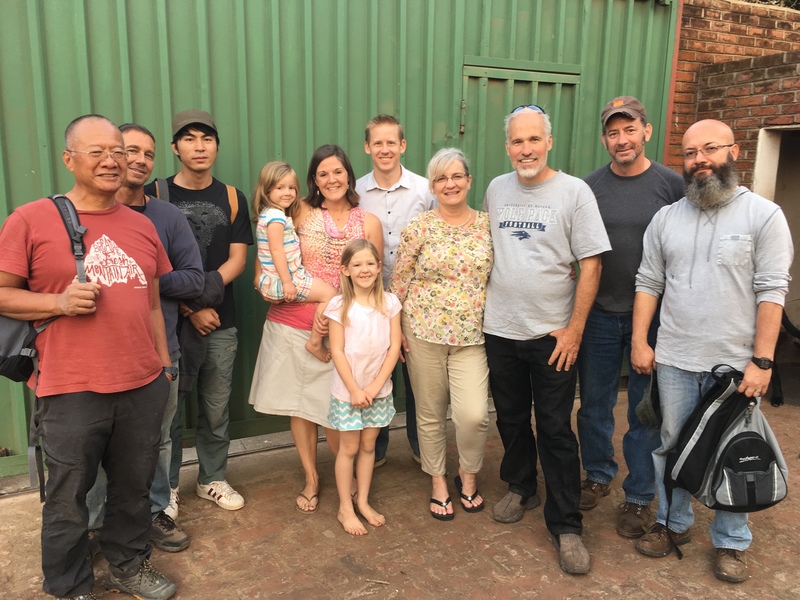 Many people think “missionaries are great,” but as a missionary who is very aware of how normal and not-so-great she is, I want you to know that these people right here are some of my heroes. Their faithfulness and humility, wisdom and grace have blessed us time and again. We are so thankful for them, and we get 3 more days with them! This entry was posted in Visitors.